Our unrelenting focus on improving quality, processes and diversifying our product range, facilitates the common aim of adding more value to our customers. As we move forward, our growth strategy is to become application-oriented and therefore, even more customer-centric. Located strategically in the industrial and trading hub of the Arabian Gulf, ATG's ASME and DNV-GL certified facility spans an area of 400,000 square feet. Situated in the Emirate of Sharjah's Hamriyah Free Zone (U.A.E. 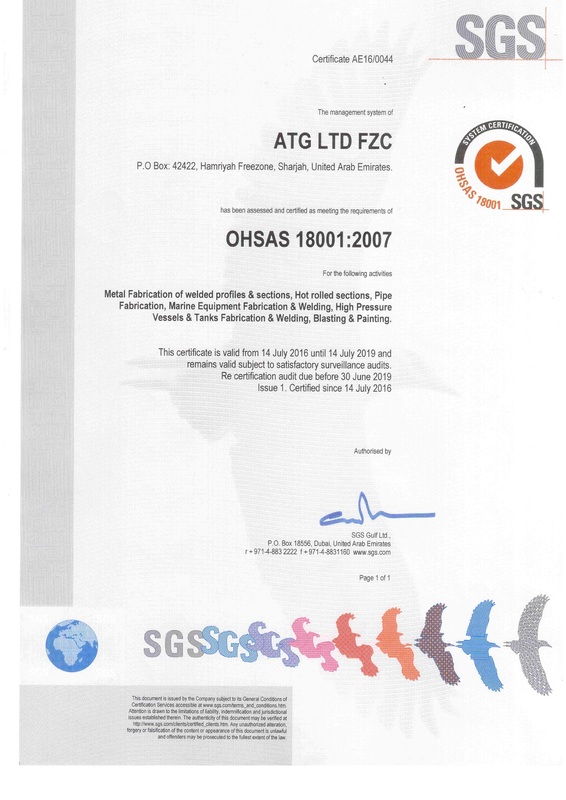 ), the facility operates under the IS0-9001 and OHSAS standards along with other national regulations. ATG has established its presence in the region as one of the leading industrial heavy fabricators. We work with a unique combination of competences and core values which enable us to meet and exceed our clients' requirements. This unmatched combination of industry knowledge, project management skills, hands-on experience and customer focused commitment, makes ATG an ideal choice to manage your project needs. 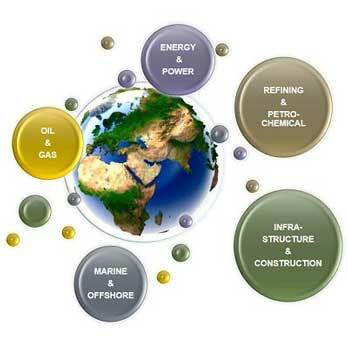 We aim to provide you with a comprehensive overview of ATG's capabilities, activities, and projects executed for various clients around the world. ATG's vision, core values, and mission statement are built around a core philosophy of being a responsible corporate entity, being the best at whatever we do, and keeping pace with change. Endeavour to become a reference point of engineering and manufacturing for heavy industries in the region through excellence in efficiency, quality and reliability. ATG endeavors to affirm itself as a premier provider of Engineered & Manufactured steel products to its customers by striving to achieve the lowest overall costs without compromising quality or service. In today's system driven world, a top to bottom management culture that fully subscribes to the highest possible levels of control in all things HSE&Q related is essential. 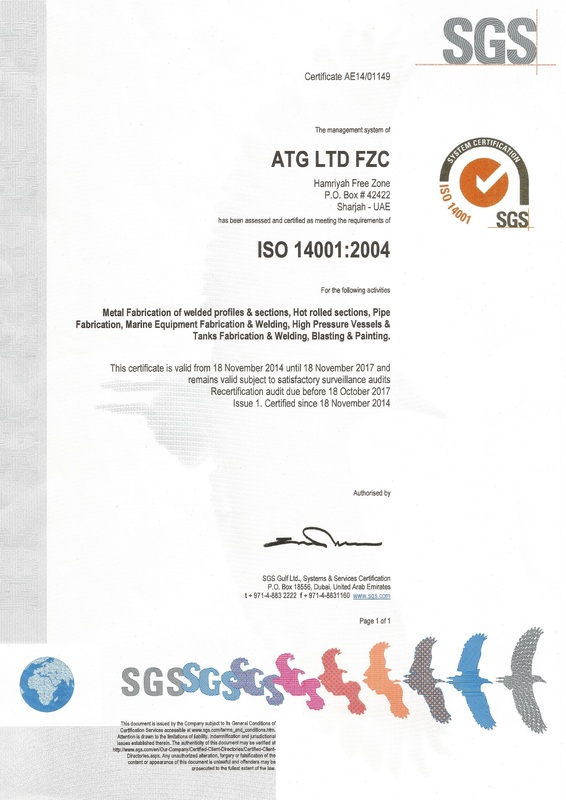 ATG creates clear distinction in this respect, a quick overview and download facility for our extensive library of accreditations can be seen below. 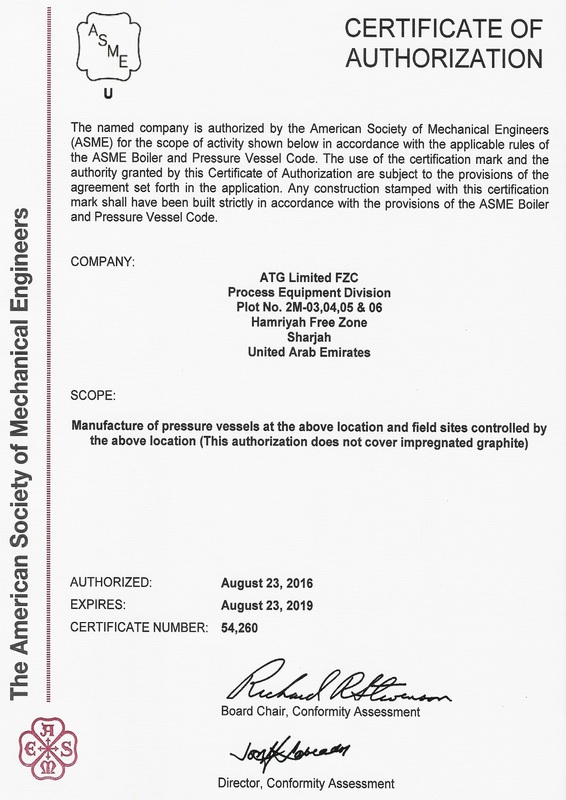 Using SGS as our Authorized Inspector under this ASME U stamp approval aids a seamless inspection process. 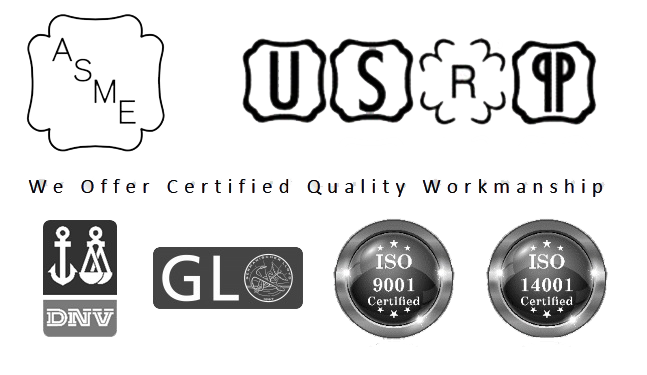 The peace of mind gained by knowing that your equipment can be repaired & code stamped should not be understated. 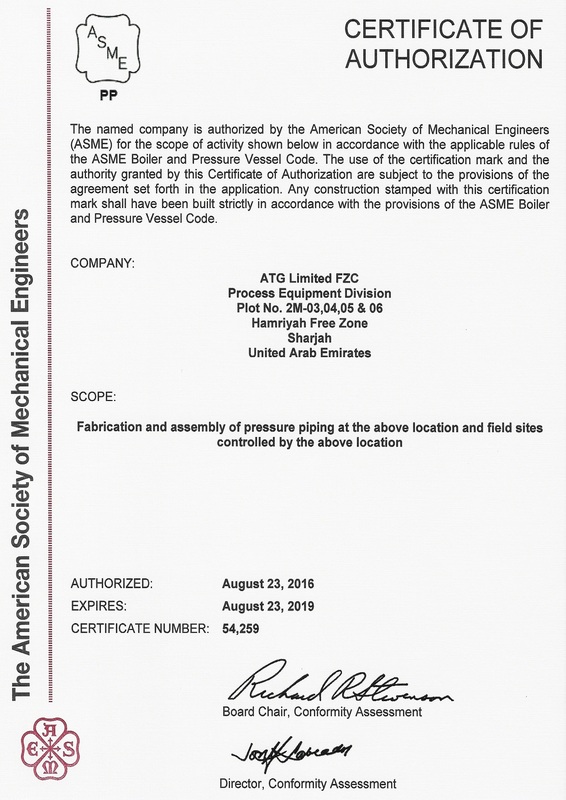 Registration with the National Board of Boiler and Pressure Vessels Inspectors is mandatory in certain markets. 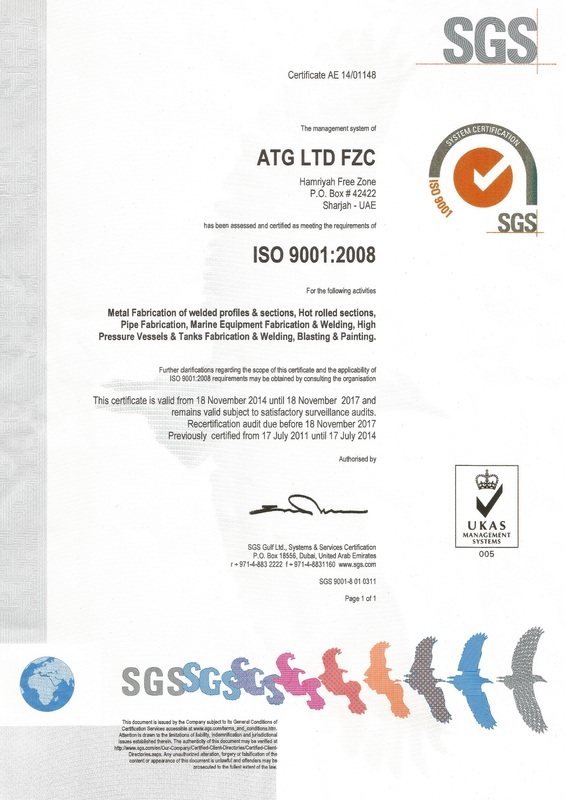 Keeping up to date with our SGS ISO9001 accreditation remains a strategic imperative for ATG. 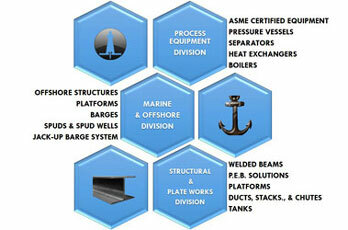 As a growing company, ATG serves its target industries through its process equipment, heavy structure, and marine divisions. Backed by an experienced operations team that implements lean management, ATG has the capacity and ability to undertake jobs competitively of wide-varying scope and size including the manufacture of standardized equipment and the custom fabrication of specialized equipment as well as components. As a growing company, ATG serves its target industries through its process equipment, heavy structure, and marine divisions. ATG's facility is well equipped to undertake highly specialized manufacturing and fabrication projects in the petro-chemical, process equipment, heavy steel structure, and marine industries. Sharjah, in the United Arab Emirates, is playing an important role as the pre-eminent industrial base of the UAE, with its unique strategic location between three continents, serving a growing market of 1.5 billion people. Sharjah is the only one of the seven Emirates with ports on the Arabian Gulf's west coast and east coast with direct access to the Indian Ocean, and an international airport which connects to 230 cities. It also has a well-developed infrastructure, geared to industry at all levels to serve the Gulf, regional and international markets. 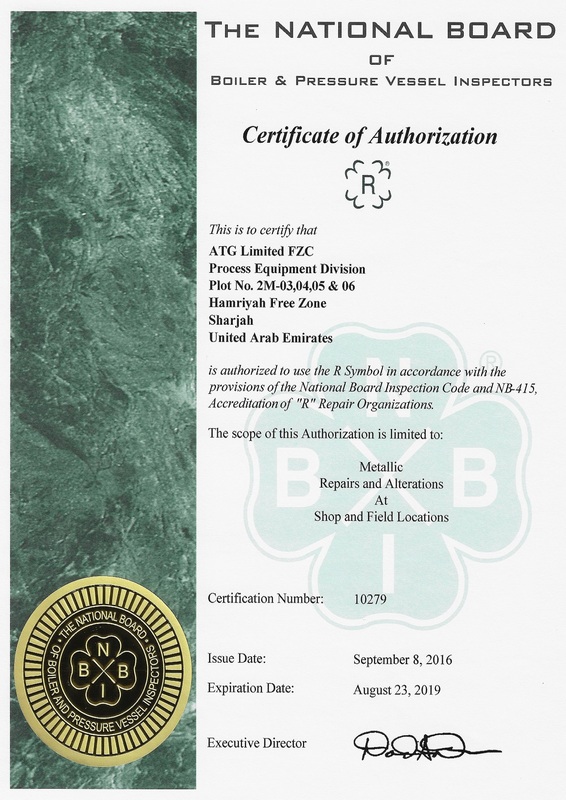 ATG operates from its modern, custom-built offices and workshop facility in Sharjah's Hamriyah Free Zone. With 400,000 square feet of industrial facilities located less than 2km from the port, ATG is fully capable of meeting the increasingly complex requirements of its ever widening customer base. Our business center comprises of offices dedicated for detailed designing, procurement, QA/QC, and project management among others, along with a covered workshop spanning 150,000 square feet for the fabrication, manufacturing, and testing of our product line.